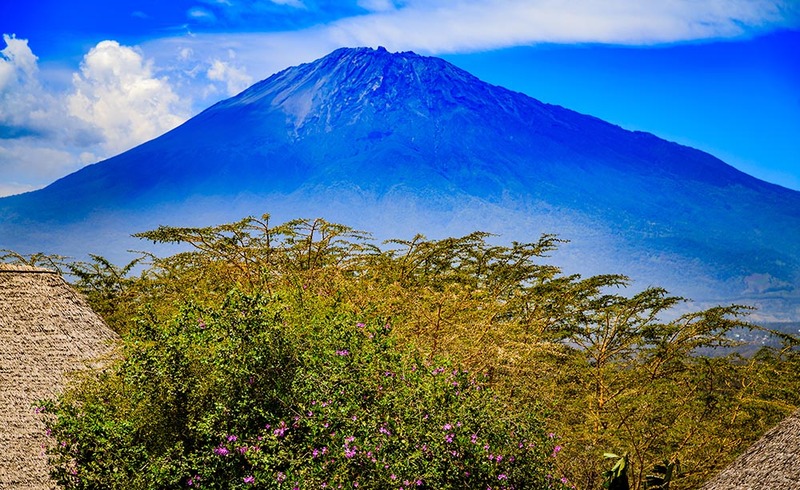 Pickup at Kilimanjaro International Airport (JRO)/Arusha airport, we will arrange a private transfer from Kilimanjaro International Airport (JRO) to Green Mountain hotel/Venus hotel/Rich hotel where the rest of the day is spent at leisure. 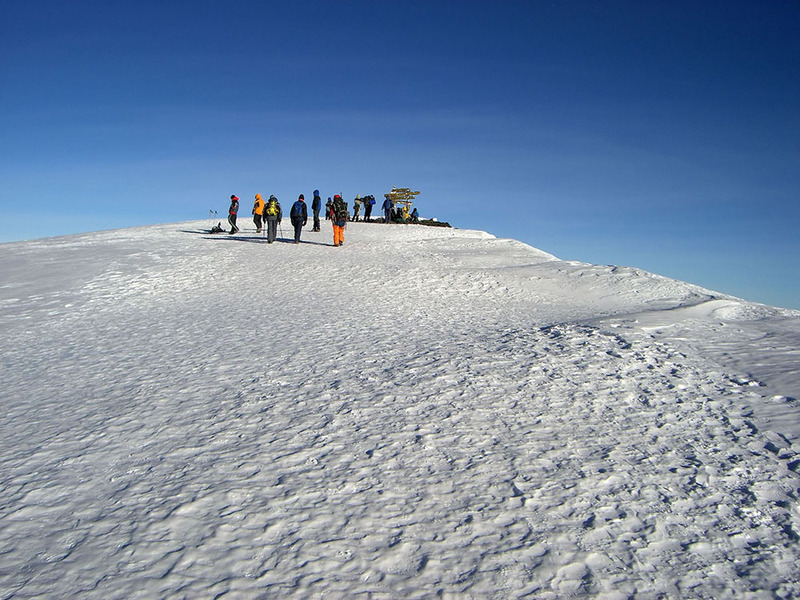 Elevation (m): (1,387 m to (1,500 m). 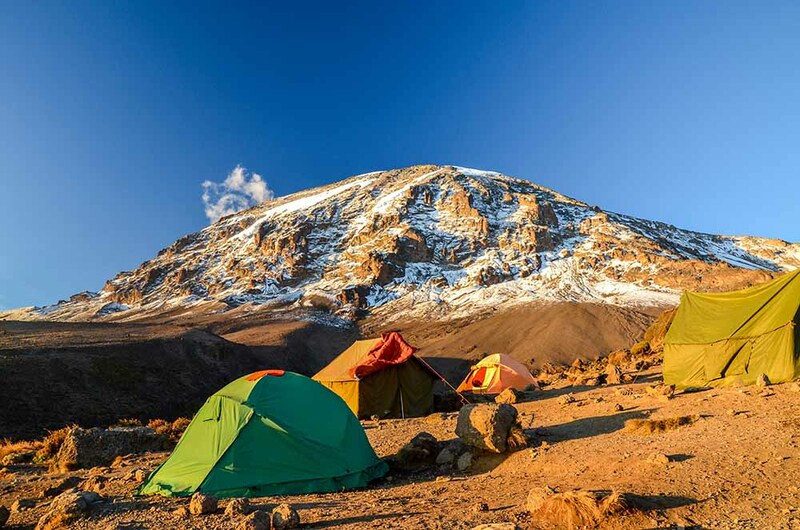 You will wake up just after midnight for a light meal then start your final ascent to Socialist Peak at the top of big Meru. 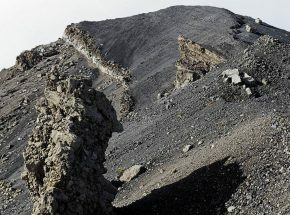 The trail to the summit is steep and you will be climbing through gravel and rocky ridges. 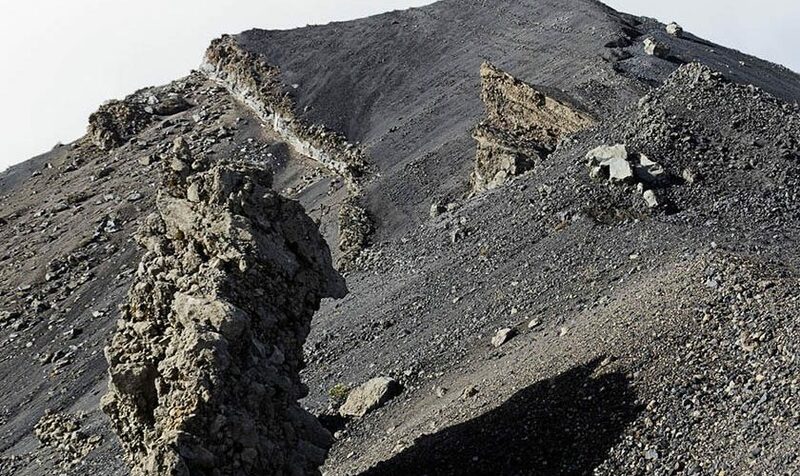 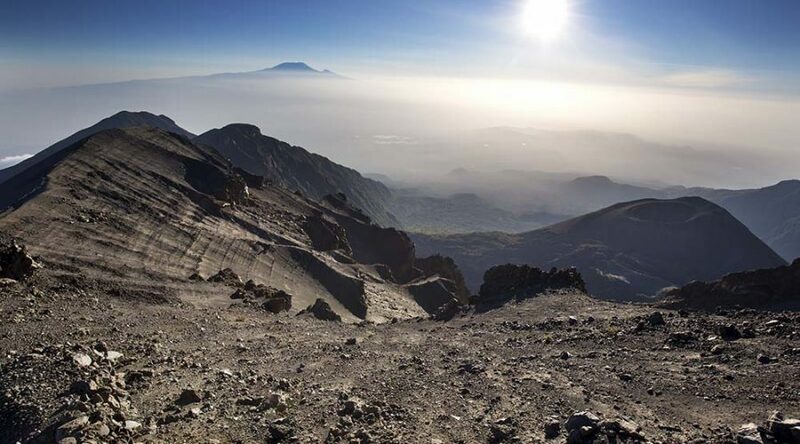 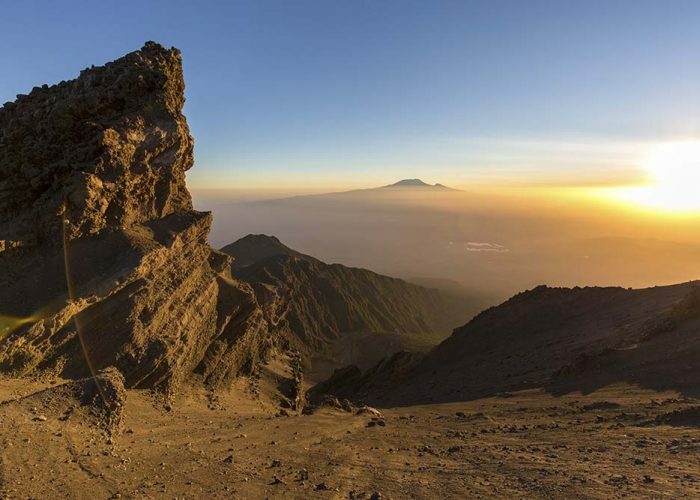 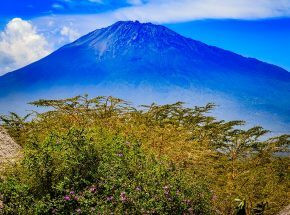 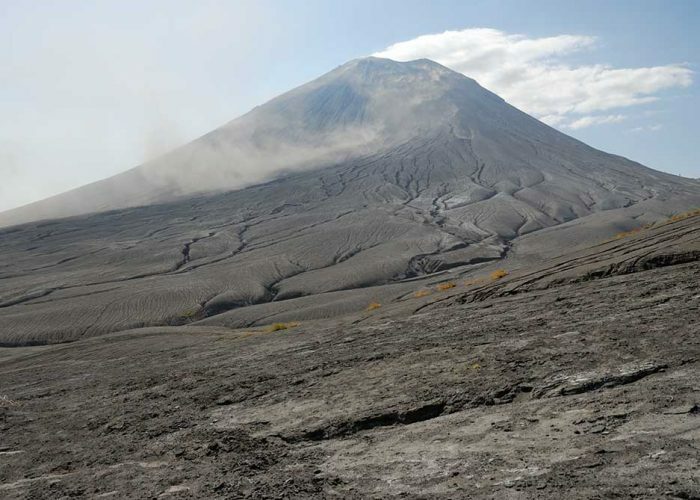 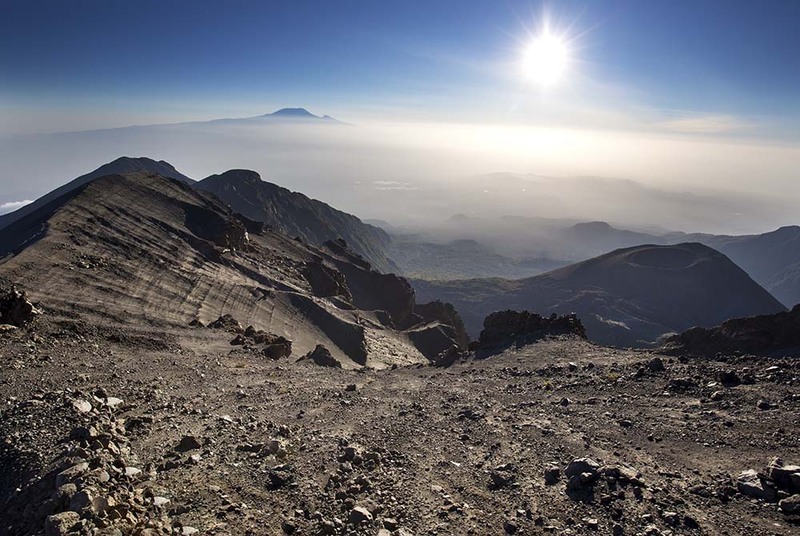 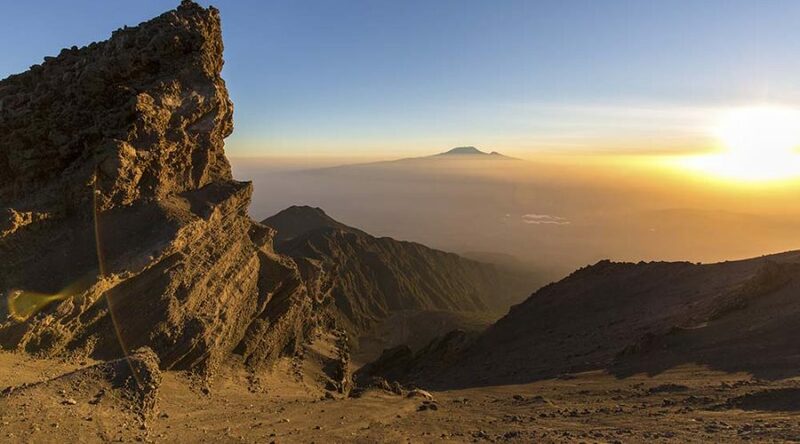 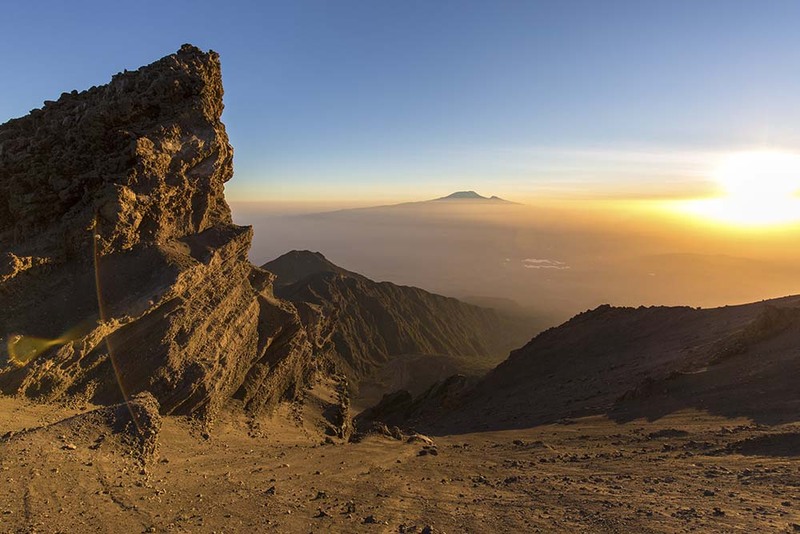 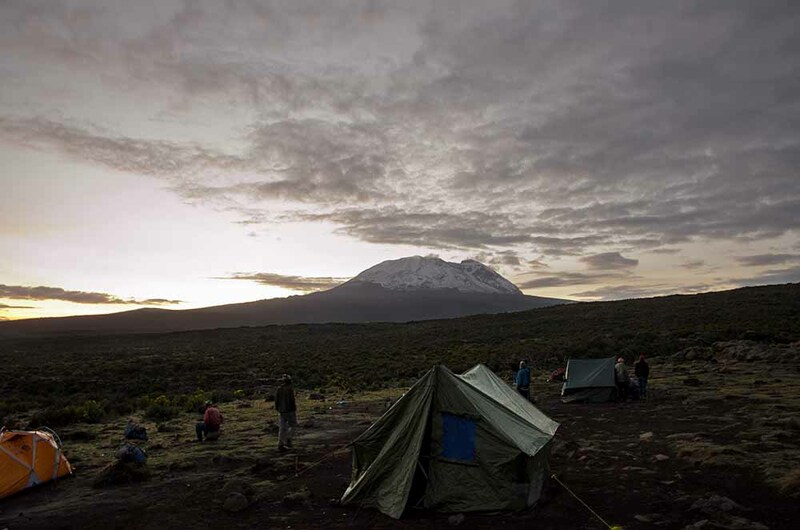 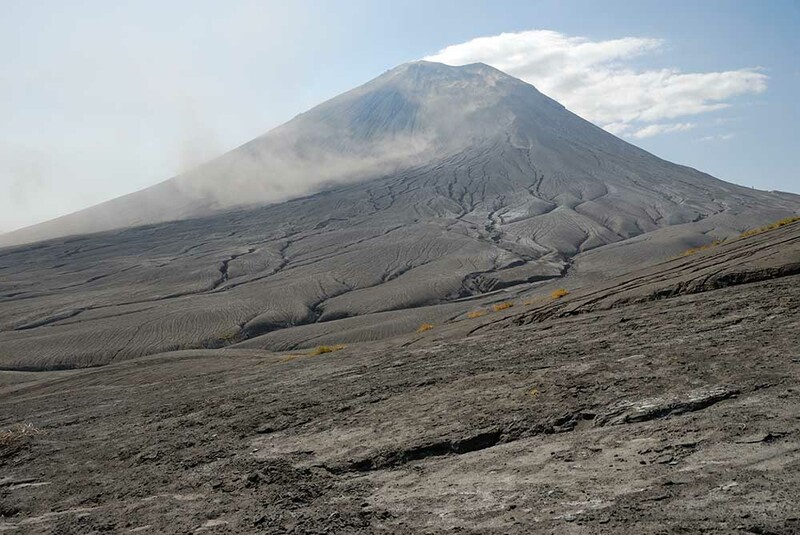 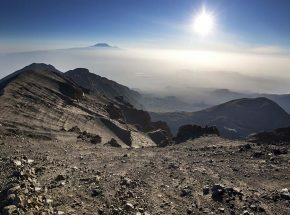 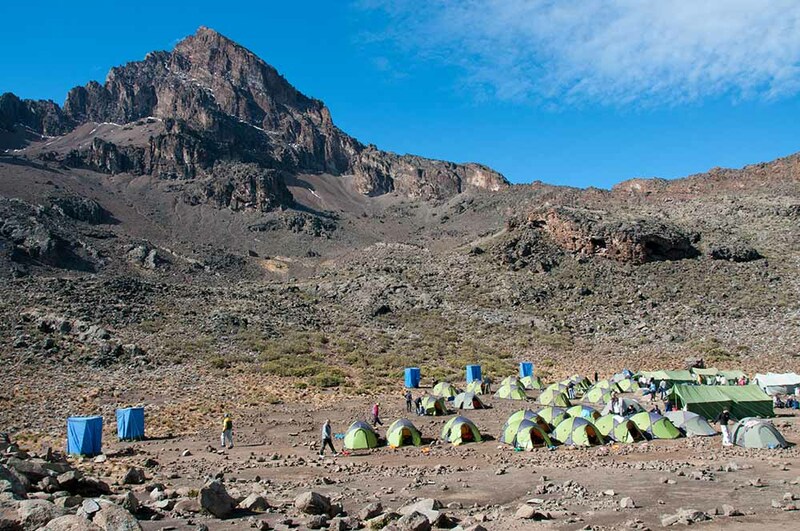 While at the summit you will enjoy breathtaking views of the Meru crater and ash cone. 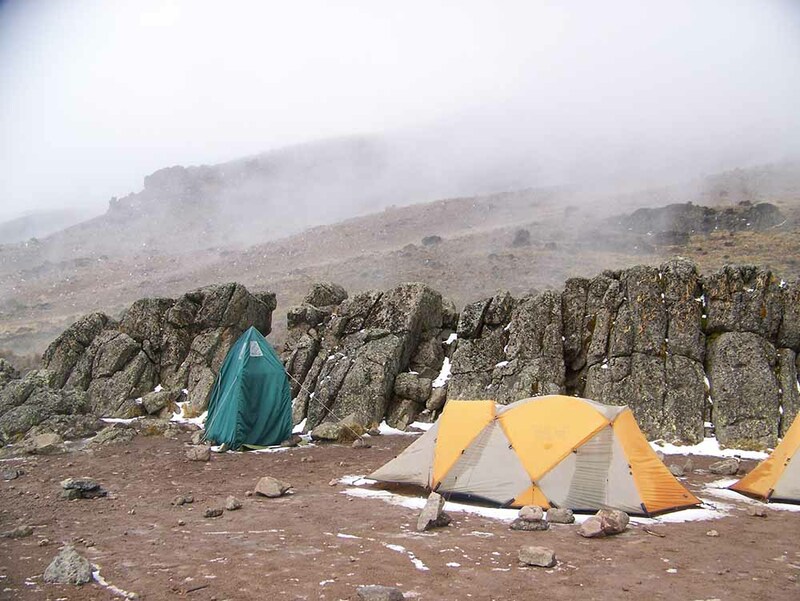 Occasionally, animals such as Klipspringers and mountain reedbucks can be seen over the rocky terrain. 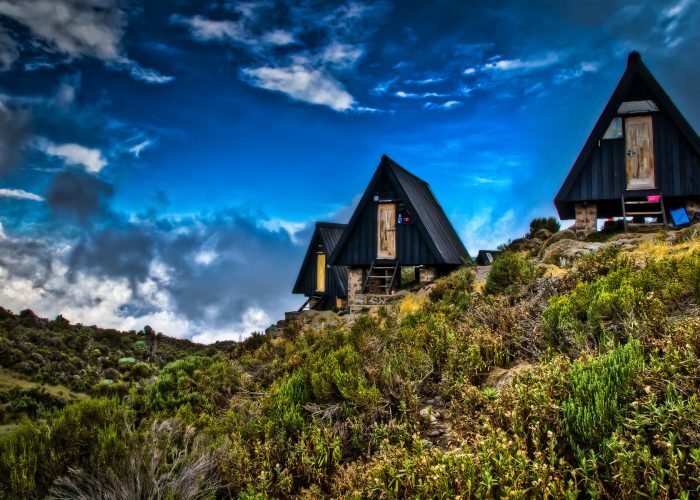 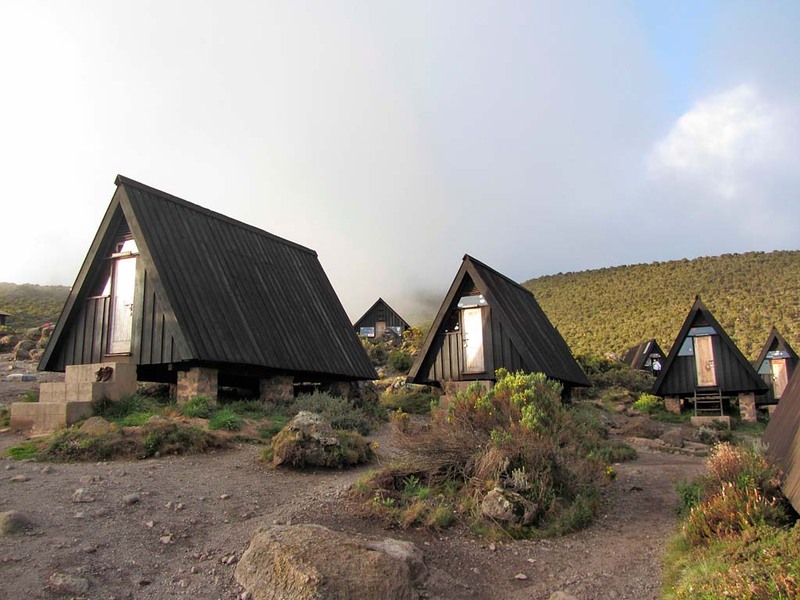 After the summit, you will then descend to Miriakamba Hut where you will be spending the night. 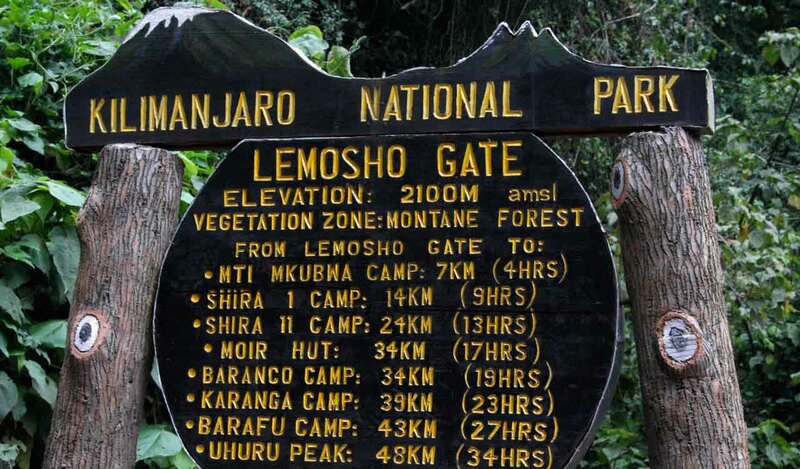 After breakfast you will begin your final descent to Momella gate. 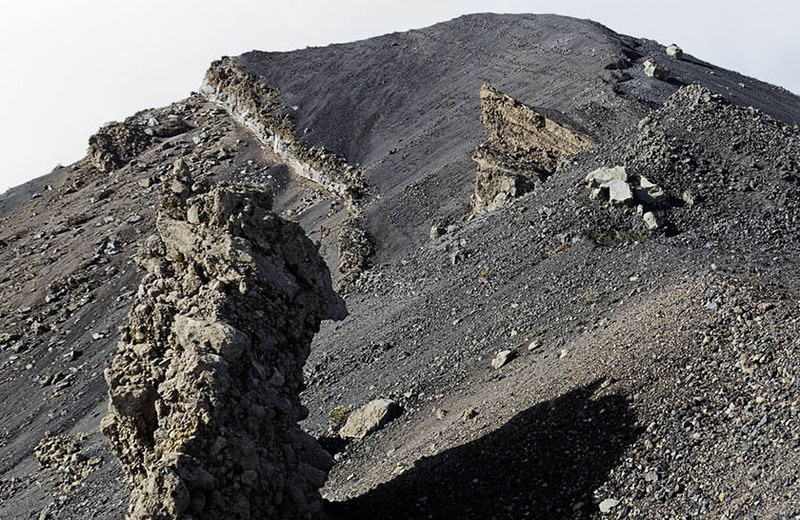 You will be using the southern route to descend. 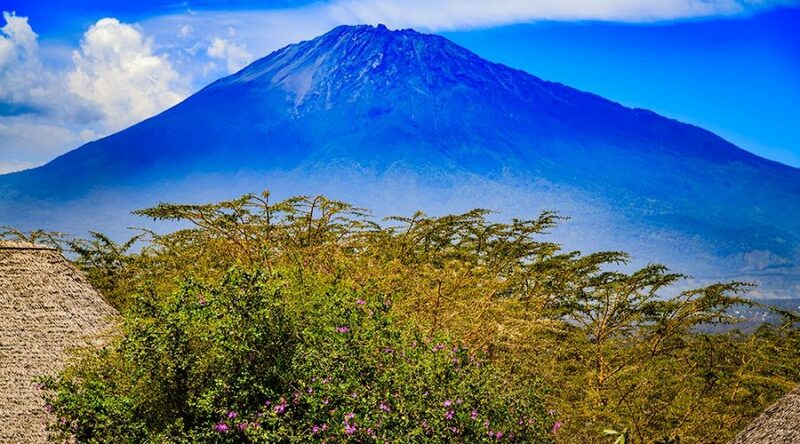 During your descent you will pass through the montane forest where you will pass the amazing Fig Tree Arch. 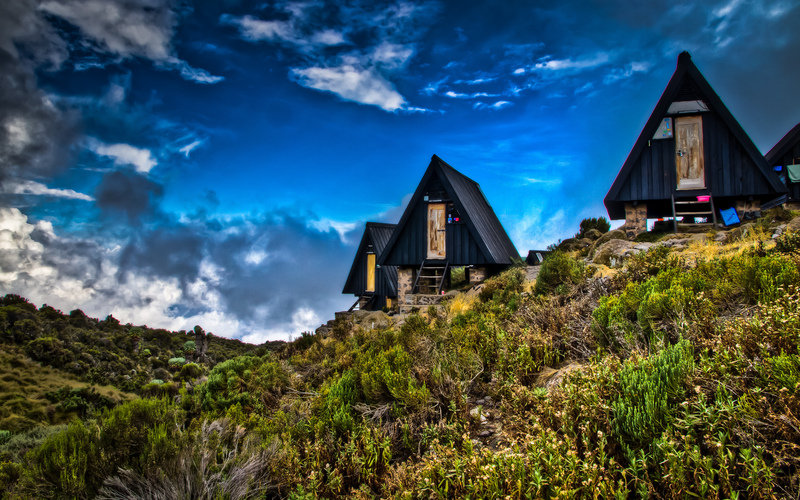 Upon arrival at the Momella gate, you will be picked up and transferred to your hotel.